Item # 316502 Stash Points: 495 (?) This is the number of points you get in The Zumiez Stash for purchasing this item. Stash points are redeemable for exclusive rewards only available to Zumiez Stash members. To redeem your points check out the rewards catalog on thestash.zumiez.com. 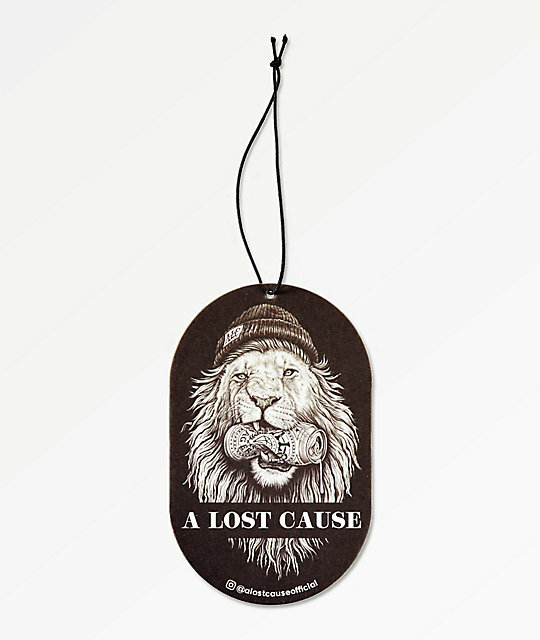 Freshen up your stinky spaces in wild style with the A Lost Cause Wild Air Freshener. With the double sided graphic of a lion in a beanie eating a can and a delicious coconut scent, this air freshener is a must for your car or closet. Wild Air Freshener from A Lost Cause. Double sided lion eating a can graphic.